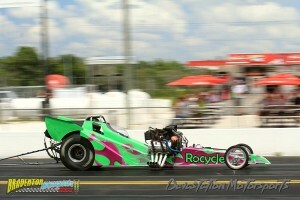 Aryan Rochon – Recycling by Day Drag Racing by Night. When you think of IT and computer recycling, what else comes to mind? Drag racing, of course! Well maybe not, but our Operations Manager, Aryan Rochon, is a techie and a gearhead so here at Rocycle, these two things do go together. The next event is Heads Up Madness at Bradenton Motorsports Park on Saturday, September 12, 2015. Come out and see us! Photo credit: “Chevelle” Rob Cossack of Devastation Motorsports.